Love your partner’s car as much as you love your own: book both cars for a quality Car Doctor Service by St. Valentine’s Day and get one service completely free*! Enjoy two fantastic services for the price of one, complete with oil and filter changes, and general check of your true love’s car — and your own — at The Car Doctor. Keep your love running smooth! 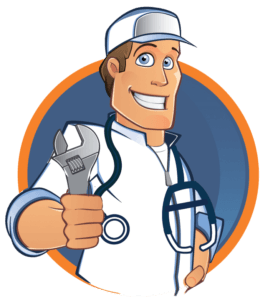 Join the Car Doctor Service Club! The Car Doctor Service Club is a simple way of saving for your car repair, servicing and maintenance costs through monthly instalments – just like any other utility bill. Our car repair and maintenance plan not only offers you greater convenience, it will save you money too! Spread the cost of servicing your vehicle with affordable monthly payments by standing order, and on collection of your vehicle pay any outstanding balance with cash, credit or debit card. Offer valid until February 14, 2018. All servicing must be completed by March 31, 2018. One service will be provided at no charge, whichever is cheaper. First service is chargeable. Where the more expensive service is performed last the balance of the service will be levied on collection. Servicing is limited to the standard offering described elsewhere on this site. Servicing does not include damage fixes or emergency repairs of any kind. Cannot be used in conjunction with any other offer. For further information, call 065 684 3410.